Valentina Riches : Masons yummy next step! Can you believe Mason is already at the stage of his life where he can start being introduced to rice cereal!? I know many moms say this but don't we feel like our babies were just born yesterday? I mean I definitely am thinking that and now I'm giving my baby his first taste of solids! At Mason's four month appointment his pediatrician said we could introduce Mason to solid foods if we wanted to and I was like "uh is it that time already?" Haha it was the same thing I said when I was getting ready to push in the delivery room. As I thought to myself "Okay what brand or what kind of flavor should I give Mason?' 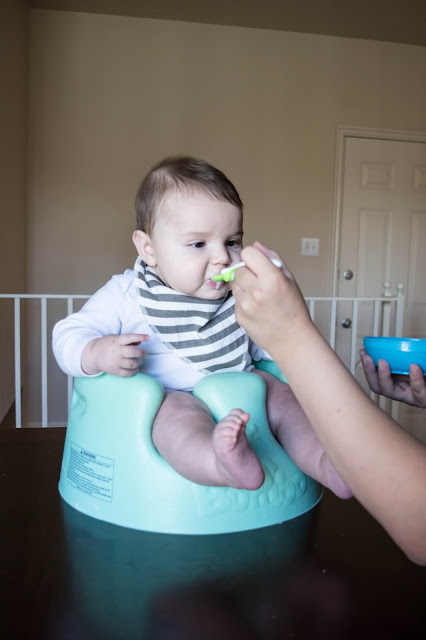 As a new mom your told many things by several people with different opinions on what solid food to give to your baby, what brand, or how far along they should start? 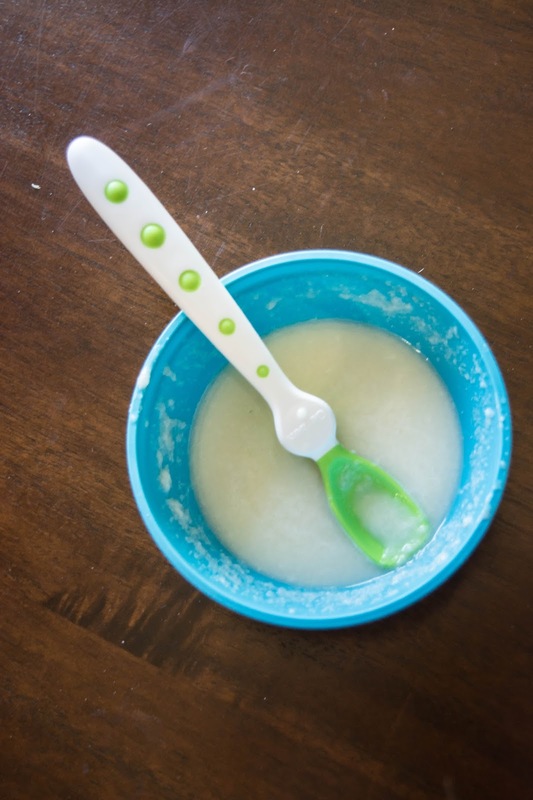 Once our pediatrician gave us the A.OK I told Rex to why not introduce him to rice cereal? I was quickly overcome with excitement to introduce this new step in his life and see his reaction! So we decided to head off to our local Target (my favorite place) and see what we could find! As I was in the baby section I noticed Gerber's Rice Cereal! As I was reading the carton I love seeing the nutritional benefits Gerber's Rice Cereal has! I'm all about finding ways to make your baby stronger and healthier! 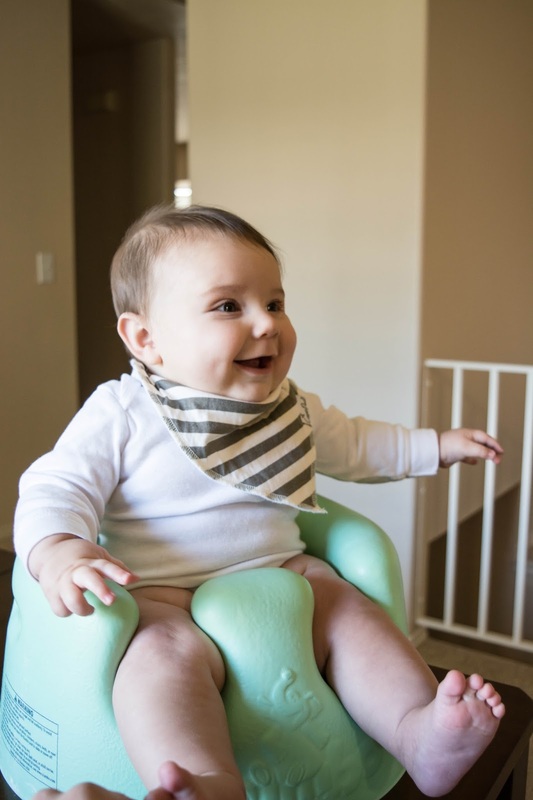 It's packed with Iron that helps boost your babies brain and learning development. As your babies grow the need for Iron in their body grows as well. It also gives them a variety of vitamins like Vitamin C and E and because of the calcium it has, your little will have strong and healthy bones! I mean mason is already a chubby little guy and I keep hearing that he's a solid little boy, so why not make his bones even stronger! I went ahead and mixed 1 tablespoon of the cereal with 4 tablespoons of my breast milk (you can also use formula), and mixed to the point it was a nice consistency to feed mason. We sat him in his chair and fed him his first spoon full. I must say if mason could talk he would probably say, "What is this stuff" with a little silly confused expression on his face haha. Straight after his first spoon I gave him his second and he completely feel in love with it! This little independent baby of mine kept grabbing the spoon himself and shoving it into his mouth to eat more! Mason loved it as you can see and we are so happy we had this moment with our little Mas and to see him try something new and know that he is getting nourishment from it. 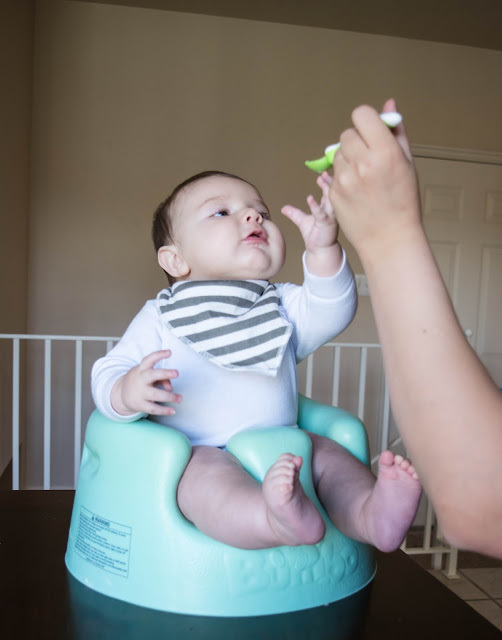 We will continue feeding him Gerber's Rice Cereal because we see the importance of starting your little one on solids foods when the time is right! I highly recommend starting your baby on Gerber's Rice Cereal as their first solid food and see him your little one grow! 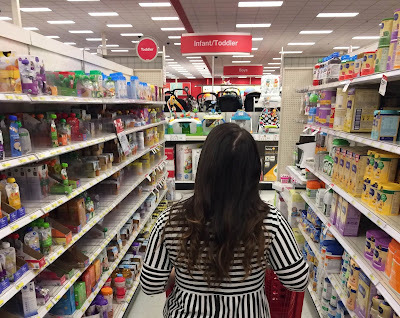 Oh and don't forget to download the Target Cartwheel app (because who doesn't love to save?!) and get 10% off your Gerber Cereal or follow the link here, Target 10% off Gerber Cereal! 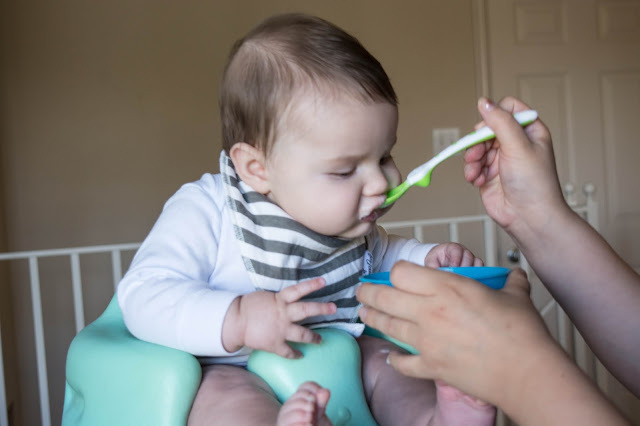 So tell me your experience with feeding your baby their first solid food?